Dr Russell was born in Baltimore, MD and grew up in Anne Arundel County. 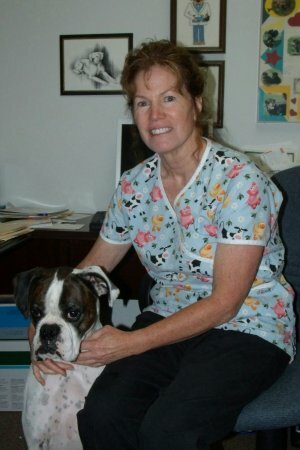 She received a bachelor of science degree from the University of Maryland at College Park, and a Doctor of Veterinary Medicine degree from the University of Georgia College of Veterinary Medicine in 1980. 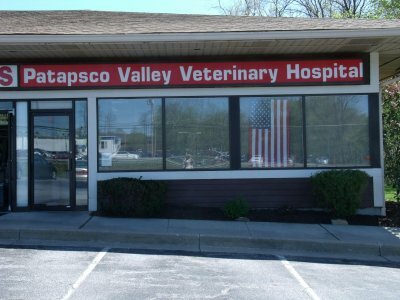 Doctor Russell has worked in Ellicott City since graduating, and opened Patapsco Valley Veterinary Hospital with Doctor Huson in 1998. She is the mother of two wonderful children and enjoys gardening, travelling, biking, and spending time with her adorable granddaughter. Currently she shares her home with two energetic dogs, a white boxer named Chance and a Frenchton named Tootsie. Doctor Denise A. Huson was born in New Jersey but grew up in Maryland. She graduated from the University of Virginia-Maryland Veterinary College in 1984. She is an avid long distance bicyclist and had traveled extensively both nationally and internationally on the back of a bicycle. She enjoys raising chickens and honeybees in her spare time. She also involves herself in Schnauzer Rescue and has three of her own at home, all rescues, including Dee, Teddy, and Klinger.